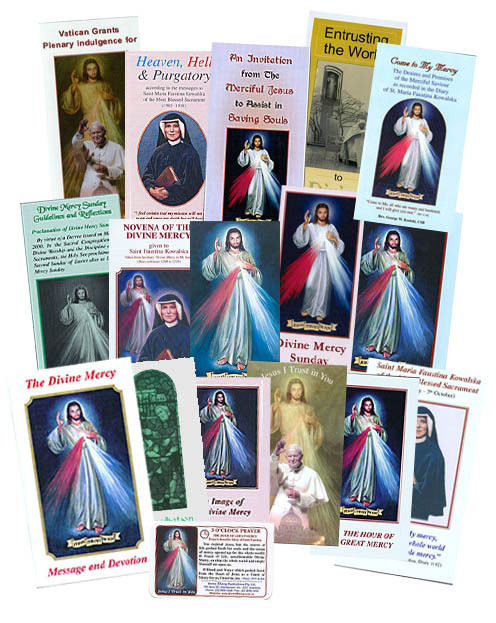 After many requests we have put together a Divine Mercy Pack containing a variety of leaflets, some new and updated covering in more detail the various aspects of the Divine Mercy and the Pope’s involvement in this important message. It is excellent for personal devotion or to pass on to friends, or priests to give them a good knowledge of the full message and prayers of Divine Mercy. 3. Divine Mercy Image with The Enthronement of the Miraculous Divine Mercy Image prayercard on the back. 13.The 3 O'Clock Laminated Wallet-sized Prayer Card with the Chaplet of Divine Mercy on the back.